Iresine is one of the ‘must have’ plants in my landscape schemes because of its ornamental foliage and ability to grow quickly and cover empty spaces. Native to tropical regions of the world, most species are frost tender plants and require sunny conditions to flourish. 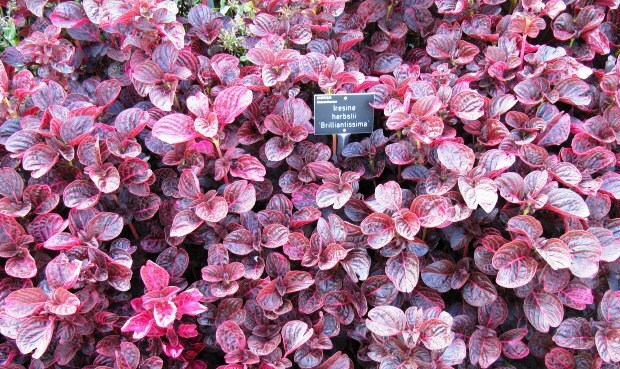 Among more than 20 species, Iresine herbstii is the most popular for its variety of colors. Usually known as Bloodleaf, this small and quick growing shrubby plant produces attractive waxy leaves of bright green or purple-red colors. When in full bloom, this beautiful plant adds splashes of bright colors in landscape, which is why, it is grown as part of massive plantation schemes – usually in mixed borders, as ground cover or for bedding purposes. Iresine herbstii grows as tall as 2 meters and can be pruned and shaped easily. Flowers are inconspicuous and should be pinched back in order to encourage healthy growth of foliage. These plants require adequate water and a well-drained soil. It can also be grown indoor at sunny positions, preferably near a well-lit window.